This blog was basically started in order to campaign for justice for Colleen Conaway. Today is the first anniversary of her death. Colleen Conaway died while participating in a personal growth event led by Secret star, James Arthur Ray. 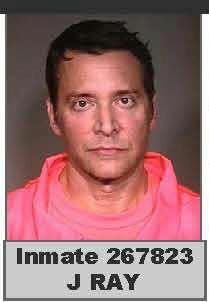 James Ray and his staff (one of whom witnessed Colleen’s death) abandoned Colleen’s body, concealed her death from the other participants, left fake messages on her cell phone to make it look they were searching for her (recordings posted here), and lied to police. They did all that while still finding time to enjoy the closing party for the event (see photos below the fold). Ray contacted his lawyers immediately, but never contacted Colleen’s family, did not refund the $5000 she paid, and even charged her a further $10,000 for a future group she had booked. That future group was the infamous event where three more innocent people died — for which Ray has been charged with three counts of manslaughter. Currently, Ray’s legal team are attempting to prevent Colleen’s death and the circumstances under which it occurred from being discussed in that trial. Colleen’s death was prematurely and wrongly declared a suicide by the San Diego police, who obviously believed the lies and obfuscations of James Ray’s staff. She did not want to die, as James Ray and the others complicit in the homicide know perfectly well. She paid Ray for his help in realising her plans for her future. What pushed Colleen to take her own life? What experiences did she suffer to drive her into that state? It is clear that she was forced into a role play where she dressed up as a homeless person and was abandoned in a shopping mall in downtown San Diego. 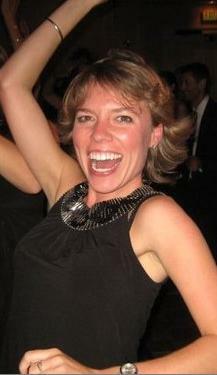 Photo of Megan Fredrickson taken while she was partying and covering up Colleen’s death. Detective Diskin: We were told that staff members were encouraged to kind of belittle people….to kind of bring down their self esteem….Are you familiar with anything like that? Of course not, Megan. At least no intentional belittling or forcing. No, you never force anyone to do exercises they had sprung on them, after paying $5000 to attend, after being sleep deprived or exhausted or whatever. No you just “encourage” them, by public humiliation and other forms of intimidation. Photo of Michele Goulet, partying and occasionally ducking out to leave fake messages on Colleen’s cell phone which she knew staff had collected from her earlier in the day. What is clear as that Michele Goulet, Megan Fredrickson, and probably other staff members concealed the death from the participants. 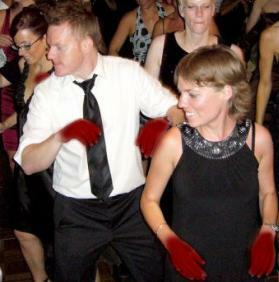 The photos shown here were taken at the party they held on the night of Colleen’s death. They never contacted Colleen’s family, never publically acknowledged any role in the death, and have never expressed the slightest remorse. It should be noted that at least two members of James Ray International resigned immediately on learning of Colleen’s death, and provided information to the authorities. The San Diego Police are unwilling to admit their mistake and reopen the investigation, and the prosecutors in the sweat lodge trial are of course powerless to investigate it. There are however other options for any one with first hand information. This is beyond sad, my condolences to all the families. I was not aware this woman not only died, but there was no immediate concern and empathy expressed by either Mr. Ray or his attending staff. He needs to be held accountable for his cumilative, irresponsible, and dangerous behavior. There is no doubt, he is a masterful manipulator- a distinct difference from an authentic leader and teacher. A leader is aware and concerned for the safety and well being of the participants. I have attended several personal growth Playhouse conferences and am appalled at anyone who takes positive tools and uses them to take advantage of people’s vulnerability. I believe in karma and this is the most destructive arena to play that card! IAs an advocate for survivors of violent death, I believe the only way to stop people like Mr. Ray from ruining lives under the guise of his brilliance-is to hit them in the pocket book to drive home the fact that they will be held accountable when their actions wreak havoc and destruction. Every person who has attended any retreat, seminar, event needs to garner a cumulative effort to take him to court to have to set up a fund for the ongoing needs of the people who were traumatized, disgruntled, and mostly grief stricken. Every dime he received where lives were lost needs to support the survivors. This is the only way to fight the fire of destructive apathy: To pour the water of compassion and accountability. We can not fight fire with fire…there is no winning, and someone will burn up in flames. The 2012 “shift”is about moving toward a more conscious mentality that when cumulative will shift us away from selfish lifestyles and bring us to s more connected, gentler, kinder world. Maybe we’re heading toward the day when it won’t take a tragedy whereived are lost and dreams are shattered to wake people up to accountability and compassion. It can happen to you…. Maureen, thanks for your heartfelt comment. Other posts on here on this topic contain a link to a comment from Colleen’s sister on Salty Droid’s blog. New information shows that Ray & some staff members clearly knew that Colleen was dead and lied to participants and other staff members. 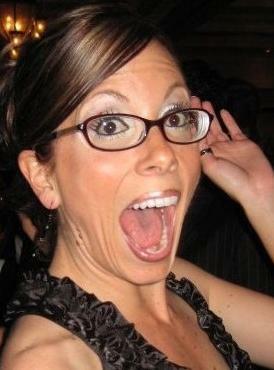 Michele Goulet (staff) later lied to police that Colleen was doing the event to deal with “low self esteem”. It is all quite sickening. I do want to say a few words, however, in response to your suggestions for possible solutions. While I appreciate anyone who is prepared to take a stand against Ray, I would also want to add a little encouragement to look a bit deeper too. Part of the reason Ray got so far is the complete failure of the New Age and spiritual self help movements maintain any professional standards at all. Marketability is the ONLY standard which applies. Truth in advertising is an utterly alien concept, and one which is often bitterly opposed even by the very consumers who are at risk. The culture that has grown up is one which automatically offers bullet proof cover even for an utterly deceitful and dangerous psychopath like Ray. It wasn’t just James Ray who managed to switch off the warning signals in his students. He was helped by the entire culture which gave him instant credibility. Oprah continues to profit from exactly the same mistakes she made with Ray, that is failing to do a background check on the people she promotes, and failing (or refusing) to acquaint herself with criticism of the ideas she promotes. The LoA, of course, does not exist and is not supported by quantum physics as so often claimed. I’m afraid all this 2012 stuff you mention is also a complete fraud with no basis in either Mayan mythology or astronomy or physics or anything else it’s purported to come from. Most of the popular ideas in commercialized spirituality – be it the LoA, 2012, quantum healing, etc etc, are fancies without substance, cloaked in which ever packaging is most likely to protect them from closer scrutiny. Labels like Native American spirituality, God, or quantum physics are things which people are reluctant to criticize either out of respect or lack of knowledge. Those trying to make money out of 2012, like Deepak Chopra, or Greg Braden are pulling exactly the same kind of tricks that Ray flew so high with. Braden was, incidentally, also happy to speak at the seminar which Ray held just days after the deadly sweat lodge. For anyone interested, here is a good exposé on his bogus science.